I don't hate her. I hate preview. aw. It's not Charice anymore. a virtual model. It would be much better. This cover might damage Preview's reputation. Charice looks awesome...very beautiful! I love it...looks like Vogue! Happy New Year to ALL!!! 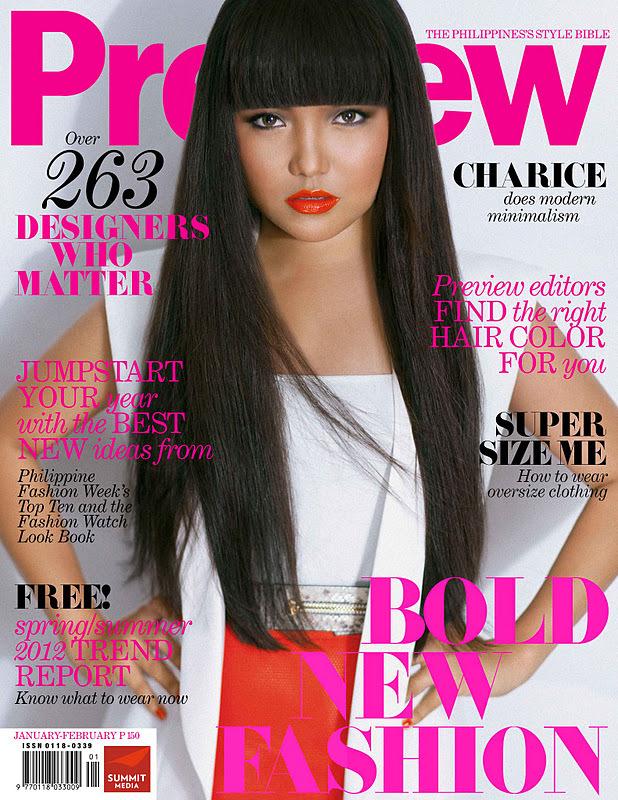 Charice looks like an Egyptian princess...very pretty! What happened to her SQUARE SHAPED FACE? This is so not Charice. Maybe the editors failed to edit the right picture. sana pinahalata nilang c charice...too much edited..
it's not too much edited, it's about the new style they've brought, thatz makin her different.. definitely beautiful!! look closely.. and you'll see CHARICE!!! hindi ka chaster kung hindi mo sya nakilala..